National Forces will be sent on Monday after Brazilians set fire to a Venezuelan refugee camp in retaliation to the beating of a local merchant. RIO DE JANEIRO, BRAZIL – President of Brazil, Michel Temer, is holding a second day of meetings with cabinet members on Monday, seeking a solution to the crisis at the Brazil-Venezuela border after a group of Brazilians in Pacaraima, Roraima, set fire to a shelter housing Venezuelan immigrants on Saturday. 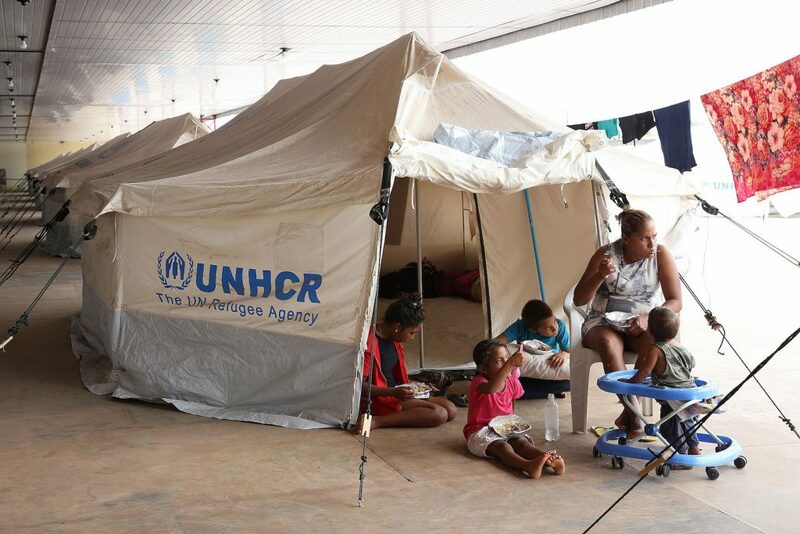 One of the shelters in Roraima set up by the Brazilian Armed Forces and the United Nations for Venezuelans refugees, photo by Antonio Cruz/Agência Brasil. During Sunday’s emergency meeting with cabinet members, President Temer announced he would be sending immediately 120 men from the National Forces to help contain the violence. The attack was triggered by the attack of a local merchant, robbed and beaten by supposedly Venezuelan refugees living in the city. Brazil’s Presidency released a note on Sunday stating that Brazil continued to be “committed to protecting the integrity of Brazilians and Venezuelans”. The President also stated that the Brazilian government would continue with plans to build at least ten new shelters for immigrants in the region and would intensify the internalization of Venezuelans to other locations in Brazil. Despite the attack on the shelter and the growing tension, Roraima state police says there has been no reported injuries among the immigrants. Brazil’s Armed Forces confirms that at least 1,200 Venezuelans who were living in the make-shift shelters have crossed over the border again, back to Venezuela. The exodus of Venezuelans started at the beginning of the year with thousands crossing the border into Brazil trying to flee the economic and political turmoil in their country. Cities near the border, such as Pacaraima and Boa Vista, both in the Northern state of Roraima, were overwhelmed with immigrants sleeping in their parks and begging for food and work at road intersections. State authorities even asked in August for the border between Brazil and Venezuela to be closed, due to the overcrowding of border towns. Brazil’s Supreme Court, however, denied the request. In a press release on Sunday, Venezuela’s government expressed ‘concern about attacks on Venezuelan immigrants as well as massive displacements of compatriots,’ stating that the events of the weekend violate international norms and human rights.